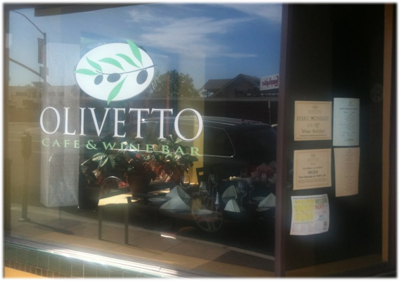 We have been for a very late lunch in the Olivetto in San Diego's Washington Street. It was like 3PM, so the place was rather empty. But we liked the atmosphere and staff. From he menue we had a Green Salad with Salmon, and Pasta with Chicken and Gorgonzola. Overall quite good, also good Coffee.